Valworx 536802 Full Port 3-way lead free brass ball valves with L-flow path are designed for use with air, oil, water and other media compatible with the materials of construction. Ideal where lead free and NSF approved construction are required for potable drinking water or other general industrial applications. Operates as either a diverter or selector valve due to the unique energized four ball seat design allowing full pressure at any port. Valves can be manually operated with stainless steel lever or direct mounted to air or electric actuators using the standard ISO5211 mounting pad. Turning the valve one quarter turn rotates the ball and changes the flow path from position 1 to position 2. 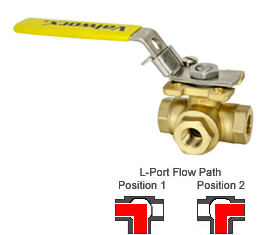 Latch locking device allows for pad locking the valve in either position 1 or 2. High performance ball and stem are made of 316 stainless steel rather than the typical plated brass. Energized PTFE ball seats are designed for low torque and extended cycle life. These ball valves offer a unique triple PTFE/Viton leak free stem seal design. 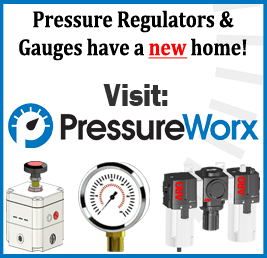 When automating the valve, lower operating torque equates to the use of a smaller size actuator, which in turn leads to a smaller profile and a less expensive package.